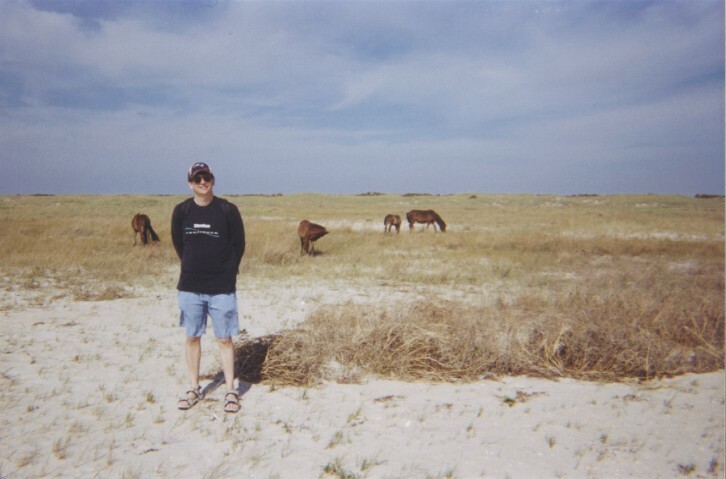 Off the coast of North Carolina is an island called Shackleford Banks. It is only nine miles long and is located just east of Morehead City and Beaufort. 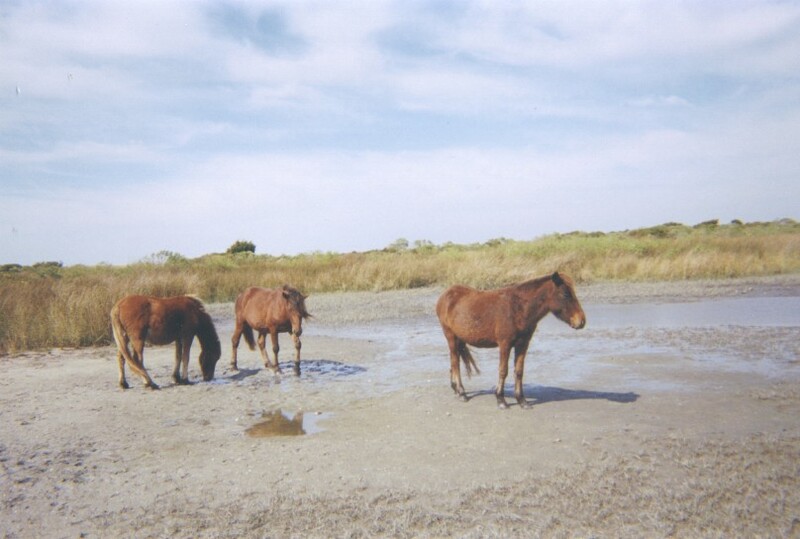 On the island live wild horses. Lynne and I chartered a boat and visited the island twice in two different years. The first time to the island we only saw horses from a distance. The second time was an adventure. We got super close, actually a bit too close, and got chased by this group of horses. Here's a picture of me on the island a little bit further away from trouble. You can learn more about these great animals by clicking on the following website.